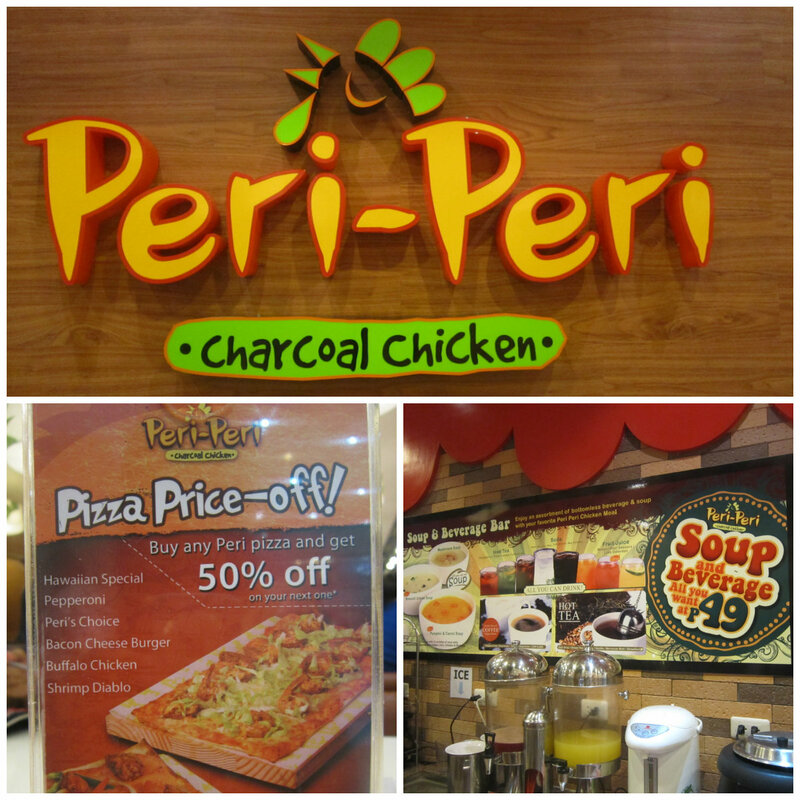 After our weekly grocery shopping with my kids, we dropped by at Peri-Peri Charcoal Chicken at SM City Davao Annex. We've been here a couple times or more but this time we wanted to try pizza. Peri-peri serves chicken, pasta and pizza. Their chicken is charcoal grilled, you may choose between Hot, Mild and Lemon and Garlic flavor. 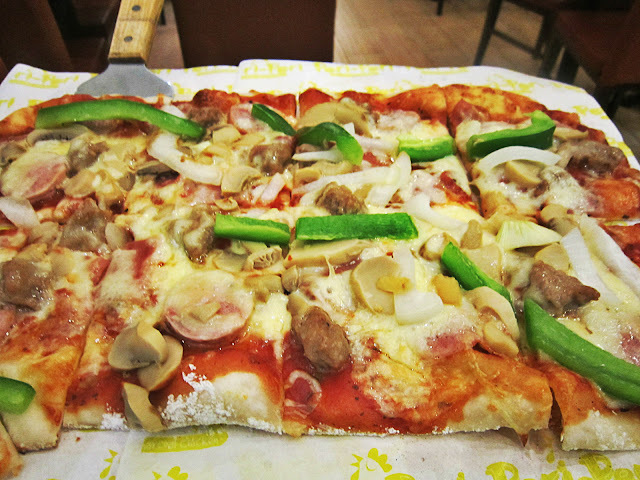 We had Pepperoni Pizza (P275) - which has pepperoni of course, mozzarella and parmesan cheese and Peri's Choice (P310) - which has beef, ham, italian sausage, mushroom, peppers, onions, mozzarella. Did I mention that we got the second pizza at 50% off? Yes, you'll get 50% discount on your 2nd pizza every Monday-Friday between 2-5PM. What I love about the Pepperoni Pizza is the amount of cheese on it which my kids enjoyed as well. I enjoyed the meatiness of Peri's Choice. It has beef, ham and Italian sausage. We also got Pasta Platter Meal (P178). It has 1/4 Peri Chicken and Bolognese Pasta. The serving is huge so my two boys shared it and we had additional rice. They are very generous with the sauce and the chicken taste just right. We got the lemon and garlic flavor. Overall it was a great experience. The food servings are huge and tastes good. We will visit them again and will recommend to our friends.